Dirac is a sophisticated tool to calculate a very wide range of acoustical parameters from impulse response measurements of an enclosure. Through many years of development and customer feedback, Dirac has grown to support many different applications. Due to its user friendly interface it is suitable for field measurements, but it also contains many advanced features that make it useful in a laboratory or research setting. To capture an impulse response, a stimulus signal is generated by Dirac or an external source. This stimulus signal is played in the enclosure through a sound source, and recorded through a microphone. Dirac then deconvolves the recorded response with the original stimulus to arrive at the impulse response. Dirac will work with most Windows compatible sound devices. External USB based sound devices, such as the Triton, are recommended. The FAQ lists of some of the other sound devices that can be used with Dirac. 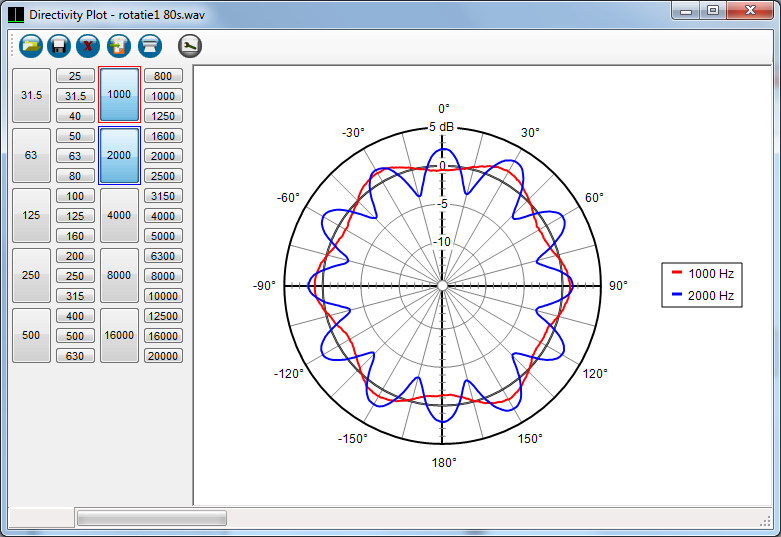 Dirac is very easy to use, yet provides all the features you may need for your measurements. The automated sound device loopback test ensures that you will get the optimum results from your system. Dirac comes with an extensive context sensitive help system and a comprehensive manual that contain many practical hints and tips that will help you to use the tool successfully. Qualified support is available through the worldwide network of Brüel & Kjær backed by Acoustics Engineering specialists. You can download the Dirac datasheet including all specifications as a pdf. 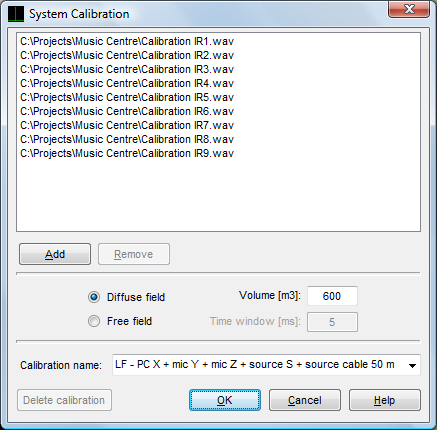 Calculates a large number of acoustical parameters. Conforms to ISO 3382 and IEC 60268-16 standards and supports ISO 3741 and EN 1793-5 standards. 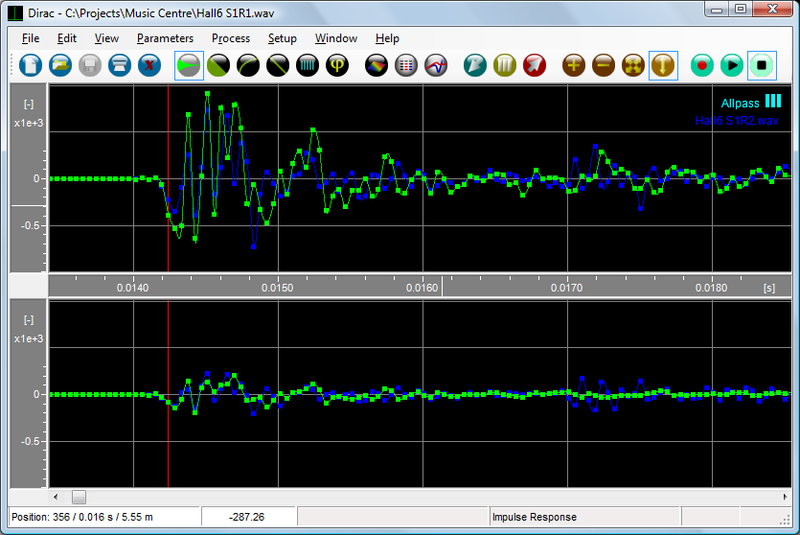 Open loop (asynchronous) measurements using a CD or MP3 player to play back an MLS or sweep stimulus. Intermittent stimulus for background noise capture. Single measurement per position for ISO 3382-3 open plan office measurements. The included 1/1 and 1/3 octave band filters are fully IEC 61260 compliant. Scale model measurements with air absorption compensation, and auralisation. Realtime pre-averaging for up to 1000 recordings. Post averaging for direct impulse measurements. Automated measurements reduce the total time required for a measurement session. Reverse filtering technique enables accurate short reverberation time measurement, such as in studios and building structures (loss factor). Multiple impulse response views with zoom: waveform, ETC, Decay, Frequency and Phase response. Waveform editing with unlimited undo. Uses standard WAV and ASCII files as well as MLSSA TIM files. Multi-channel import from B&K WAV files (PULSE). Calculates and graphically displays statistics over multiple measurements (mean, standard deviation, min-max). 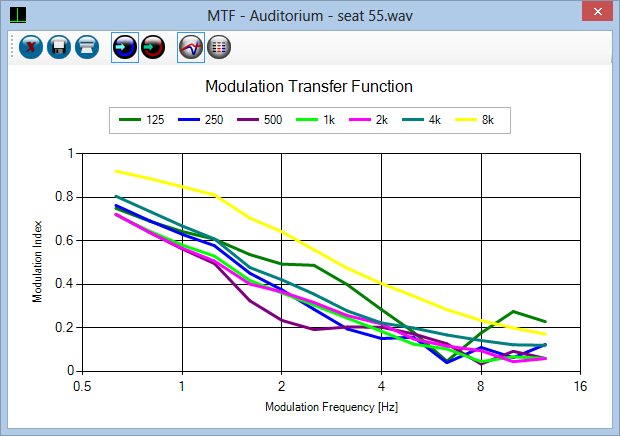 Plot parameter values versus frequency or versus source-receiver distance. 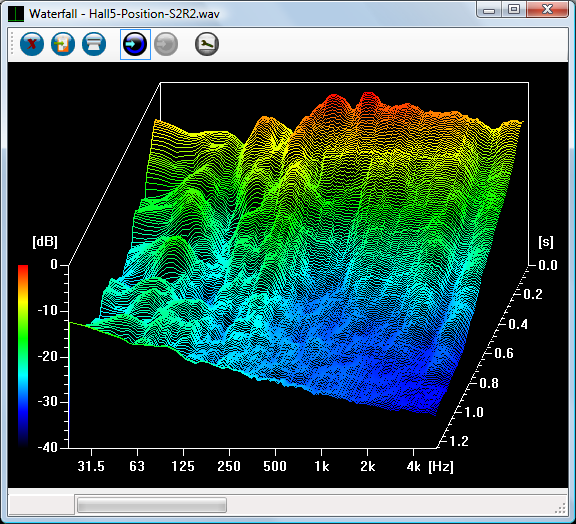 Directivity, waterfall and spectrogram plots. 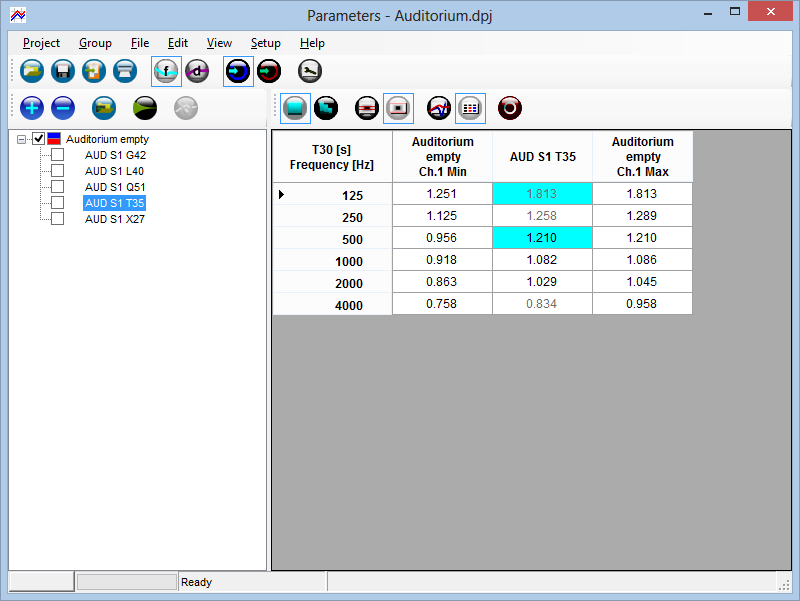 Parameter graphs can be printed, saved as text files or copied to the clipboard for use in reports. Organize measurements in projects and export all parameters for all files in a single operation. Automatic notification and download of software updates. Support CoreAudio (WASAPI) and ASIO audio. The video above highlights some of the new features in Dirac 6. Click on the image above to see a gallery of a small selection of the screens in Dirac. For a more detailed view of Dirac try the Demo version. Support for the Echo speech source. The Echo is a small loudspeaker source with a calibrated spectrum and sound level, and a directivity similar to a human speaker. It contains a number of different stimuli that are automatically recognized by Dirac. Using the Echo, accurate speech intelligiblity measurements can be performed much faster. 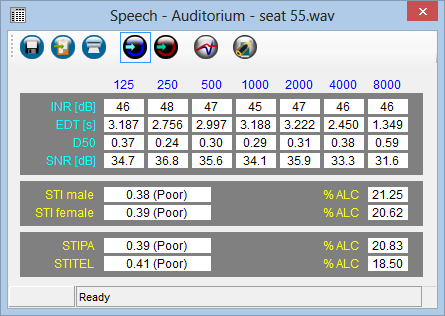 Intermittent measurements for Echo speech source and ISO 3382-3. The new intermittend stimulus consists of a conventional MLS or sweep stimulus, followed by a period of silence. The MLS or sweep signal is used to measure the impulse response, whereas the silence period is used to capture the background noise level. 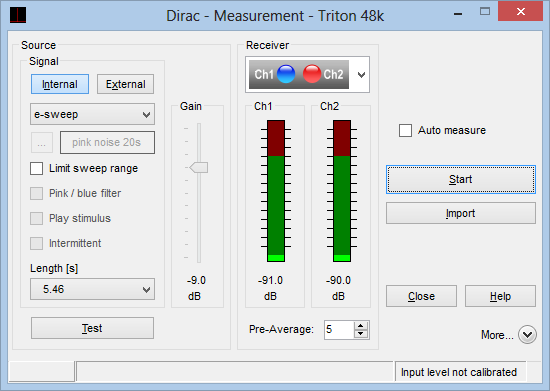 Each part of the measurement is stored in a separate channel, and Dirac uses both to calculate accurate speech intelligiblity parameters. New parameters for ISO 3382-3: LP,A,S, LP,A,S,4, D2,S, STI, rD and rP. Open plan office measurements have never been this easy. Using the new intermittent stimulus, a single measurement suffices to capture all quantities required by ISO 3382-3. The calculated parameters are displayed in clear graphs that optionally include regression lines. Graph parameter values versus the source receiver distance. Parameter values are no longer restricted to value versus frequency graphs. Plotting values as a function of the source receiver distance can provide more insight into the acoustics of an enclosure. Continuous MTF graphs. Contrary to the modulated noise method, the impulse response method for measuring the modulation transfer function is not limited to discrete modulation frequencies. You can now see MTF peaks and valleys in between the standard frequencies, allowing you to uncover problems that remained hidden up till now. Load and save measurement setups in the measurement window. The enormous variation in measurement configurations that are possible in Dirac may seem somewhat daunting at first. With the new measurement presets, you can simply select a predefined setup without having to worry whether everything is set up correctly. 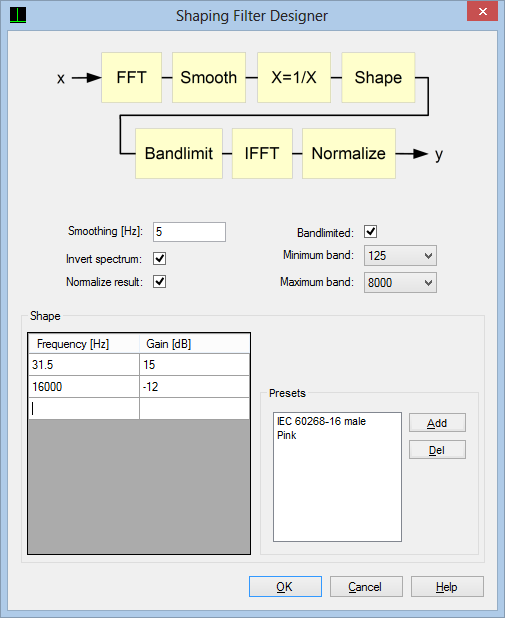 New level parameters: Lmin, Lmax, Lpeak and LN with A/C/Z frequency- and F/S time-weighting. 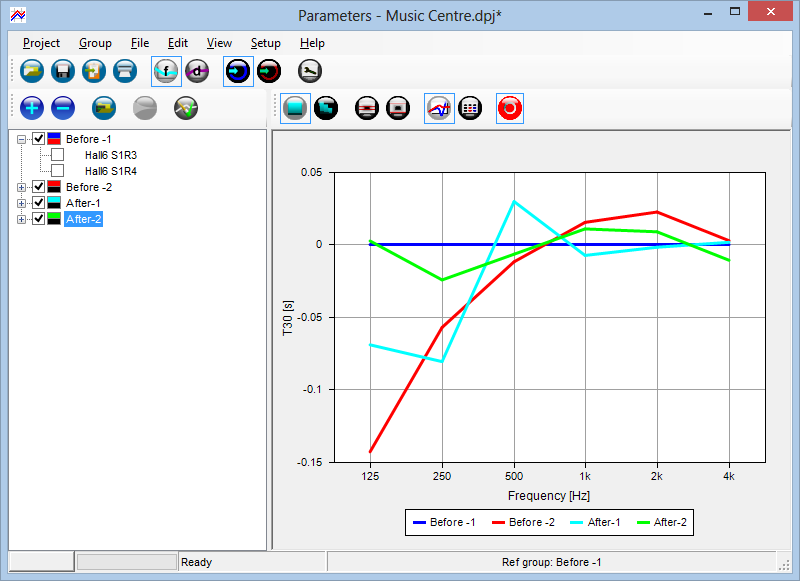 Although Dirac is primarily used for impulse response measurements, you can also record signals and analyse them. In a previous version you may already have used the Leq, LAeq or LCeq. 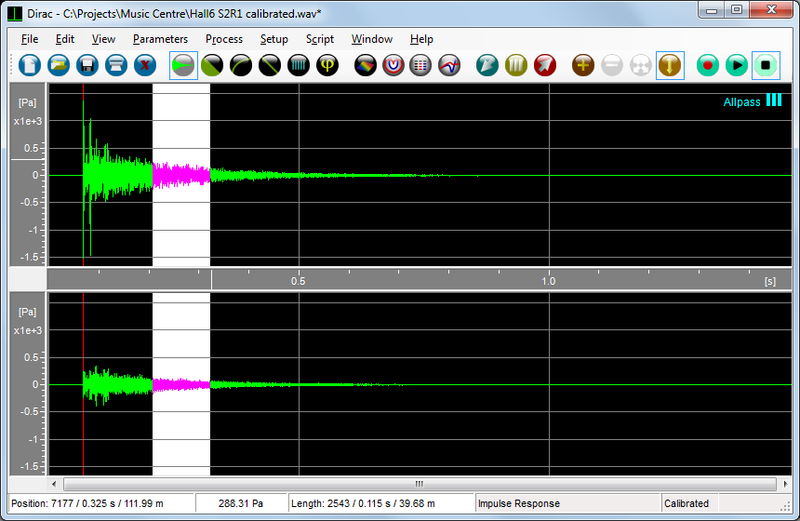 We have now added a number of often used statistical sound level parameters. Display Leq and derived values for measurements with pink stimulus. If you consider that the frequency response of an enclosure is independent of the stimulus that is used to measure the response, it seems strange that you could calculate the measured Leq values from the impulse response. Yet this is what Dirac will do for you for both white and pink stimuli. Improved support for ASIO sound devices. 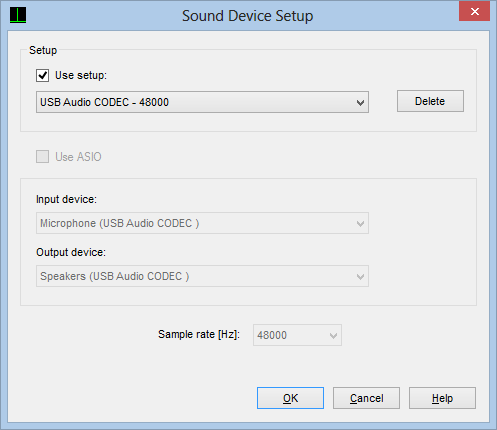 Although the previous version contained some rudimentary support for ASIO sound devices, the new version places ASIO on the same level as the native Windows CoreAudio API. This makes it possible to use a whole range of audio devices for which a CoreAudio driver is not available. 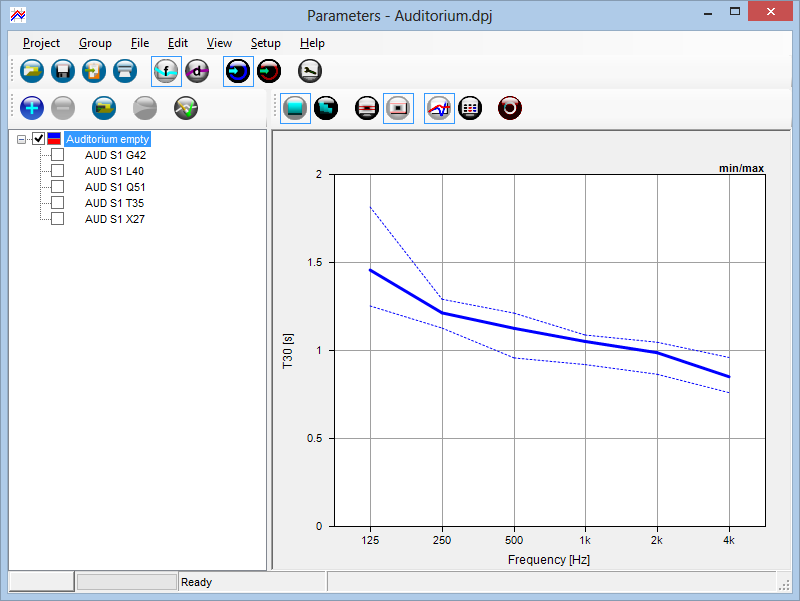 Automatically add new measurements to a parameter graph. A new option in the measurement window will add every new measurement to a group in the parameter graph window automatically. The graph is then recalculated immediately. When used together with the automeasure option, you can see near realtime parameter updates, and using the statistics option (deviation) you may see the parameter converge. Export displayed data (ETC, spectrum etc.). A feature requested by quite a few users is to be able to save the data as calculated for a specific impulse response view. This includes the selected band filtering. The data is exported to a .wav file, but can also be written to a text file for use in f.i. Excel. Many more additions and changes. 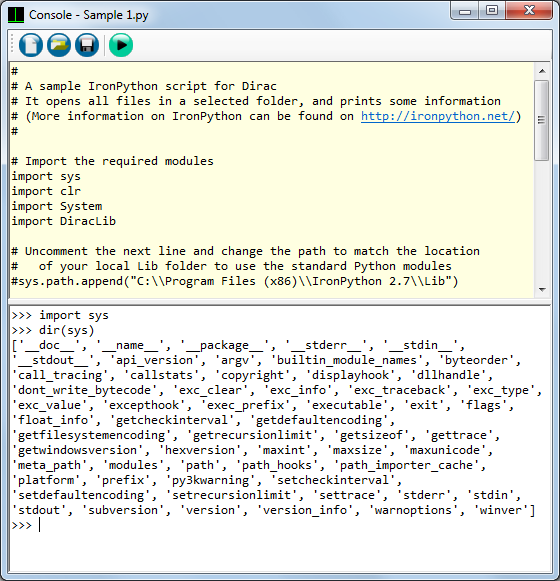 The complete list with new and improved features is rather long, and is contained in the helpfile. Will Dirac work with my sound device? In general: Yes. Dirac should work with any sound device that supports CoreAudio (WASAPI) or ASIO. Dirac requires that your sound device is full duplex, meaning it will playback and record at the same time. Almost all current soundcards, notebook sound systems and external sound devices are full duplex. 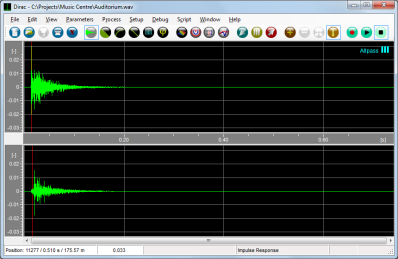 The unregistered (demo) version of Dirac, which is available for download, can be used to perform a soundcard test. A successful sound device loopback test implies that Dirac will work with your sound device. Which sound devices do you recommend for use with Dirac? The Triton sound device was designed specifically for use with Dirac, so we can highly recommend this device. Another fine device is the Edirol UA-25 which provides a phantom power supply. Lower cost devices that work well are for instance the Behringer UCA202 and the ESI MAYA44 USB+. For scale model measurements the E-MU 0202 USB and the Terratec DMX 6Fire USB can be used. Please note that there are many more devices that work perfectly with Dirac. 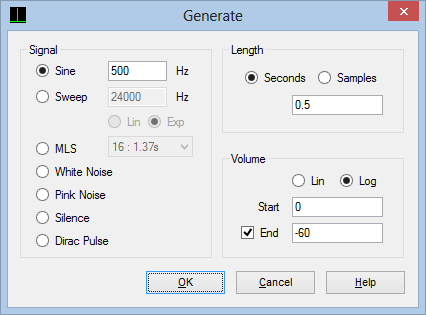 Use the demo version to test Dirac with your sound device. Do I need to perform a loopback test on my sound device? No, you do not need to perform a loopback test on your sound device in order to use Dirac. However, working with Dirac becomes much easier once your sound device has passed the test. During the loopback test procedure, Dirac figures out how to control your sound device hardware. It also finds the optimum settings for the volume controls. Finally, the test procedure will correct the loopback frequency response of your sound device if required. You could of course set the volume controls yourself before every recording. However, it is almost impossible to reproduce the optimum settings for each measurement session. What if the sound device loopback test fails? The problem could be as simple as an incorrect connection between the selected input and output. Also make sure to use a (short) shielded cable, to minimize interference. Not all sound devices support all sample frequencies. Many current sound devices have the hardware laid out for a single sample frequency (often 48000 Hz for AC'97 codecs), and use sample rate conversion algorithms for other sample frequencies. Sometimes these algorithms produce results that are unusable for Dirac. Some sound device manufacturers make near perfect hardware, but manage to write drivers that make the sound device almost useless. Switching drivers may help in this case. The load on your processor may be too high. 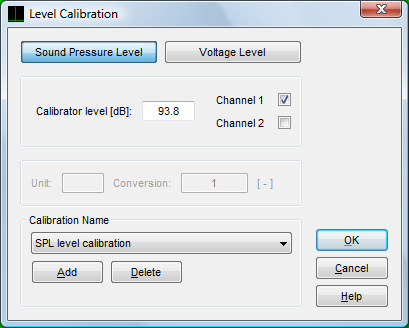 The calibration procedure uses a lot of processing power. Running compute intensive programs in the background may prevent Dirac from completing the calibration procedure. In particular, we have seen problems caused by virus scanners running in the background. What are the PC requirements to run Dirac? The minimum system requirements are a 1 GHz CPU, Microsoft® Windows Vista ,7 or 8, Microsoft .NET framework 4.5, 500 MB of available disk space, a WSVGA resolution 1024 x 600 (WXGA 1280 x 768 or higher recommended), a CD-ROM drive and a full duplex sound device with support for CoreAudio (WASAPI) or ASIO. A typical current laptop would therefore be more than adequate. Which hardware system components can be used or are required? To perform single channel parameter measurements according to ISO 3382 or IEC 60268-16, you can use a type 1 sound level meter, meeting the IEC 651 requirements, and equipped with a line output. Normally, single channel parameters can also be approximated using lower cost omnidirectional electret microphones or sound level meters. The measurement of LF requires either an additional bidirectional microphone, a.k.a. a “pure pressure gradient” or “figure-of-eight” type, or a switchable omni-bi-directional type. 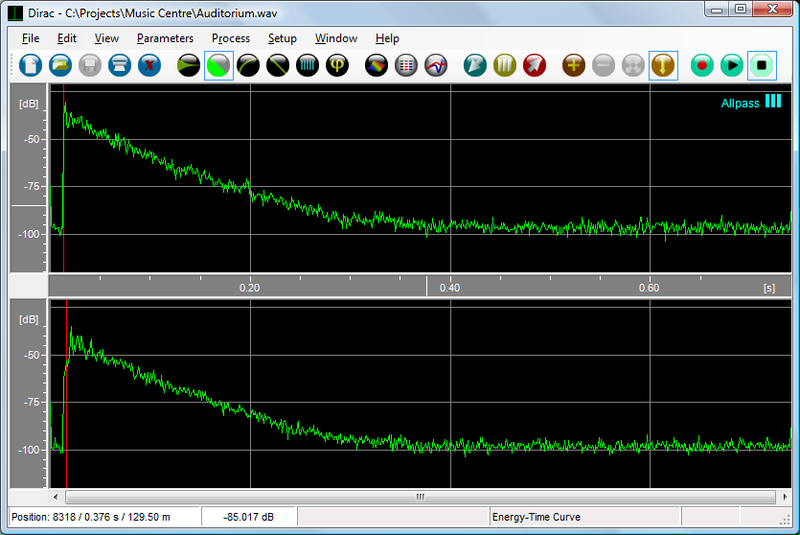 The latter is particularly useful if you have only one measurement channel available, e.g. when using a random noise source, which will occupy channel 2. The measurement of LFC or Sound Intensity requires a matched omnidirectional microphone pair at a fixed distance, such as a sound intensity probe. The measurement of IACC requires a head simulator. Can I use a sound intensity microphone probe as omni-omni-directional receiver? Yes (actually, they are equivalent). Which brands of microphones can I use for the measurement of LF, LFC and IACC? Bidirectional microphones (for LF or LFC measurements) are supplied by Schoeps, AKG, Neumann and Sennheiser. A switchable omni-bi-directional microphone is supplied by Neumann. An example of a sound intensity microphone probe (for LF, LFC and Sound Intensity measurements) is Type 3519 from B&K. Examples of usable head simulators (for IACC measurements) are the HMS III Artificial Head from Head Acoustics, the KU 100 from Neumann and Type 4100 from B&K. Is it useful to choose a head simulator with on-board A/D converters? The onboard A/D converters in a digital head simulator will provide a THD+N that is probably superior over any analog head simulator with external sound device, because the analog microphone signal path is highly optimised. This very low noise configuration is useful for music recording purposes. However, for room acoustic measurements, where minimum SNR values are normally much higher and controllable, it is not really necessary to use a digital head simulator. Is it possible to use Dirac with a wireless transmission channel? You can use wireless transmission of input or output signals under certain conditions. The transmission channel may be equipped with a compander, i.e. analog level compression at the transmitter and complementary level expansion at the receiver. This can for instance be found in some wireless microphones and may cause allowable noise. What to do if my new laptop PC has no parallel port for my dongle? Instead of a parallel port dongle, you can also use a USB dongle. Please ask your local Brüel & Kjær representative. What is the typical dynamic range of a measured impulse response? The loopback dynamic range or Impulse response to Noise Ratio INR, averaged over the octave bands from 125 Hz through 4 kHz, is typically about 60 dB. With a good sound device, the loopback INR is about 50 dB at 31.5 Hz, increasing up to 96 dB at 4 kHz and up, and 80 dB on average. Sound studios typically show 60 dB, and concert halls 50 dB. What are the differences between impulse responses from MLS and sweep? MLS and sweep will normally result in the same impulse response, but the methods differ in the effect of system irregularities, such as click noise, system variations during a measurement, distortion in the measurement chain, etc. With MLS these effects result in parasitic energy, time-distributed as noise over the impulse response. With sweeps, these effects result in parasitic energy, time-lumped as e.g. small sweeps in the impulse response. Unlike noise, the energy packages can often be removed very easily or have hardly any impact on the derived acoustical parameters. On the other hand, recognising impulse response details may be easier if the impulse response is affected by random noise rather than by a nonrandom but unknown parasitic signal. Why is the INR from sweeps often higher than from MLS? One cause is mentioned above, and has to do with the way parasitic energy is converted into noise using MLS rather than sweeps. 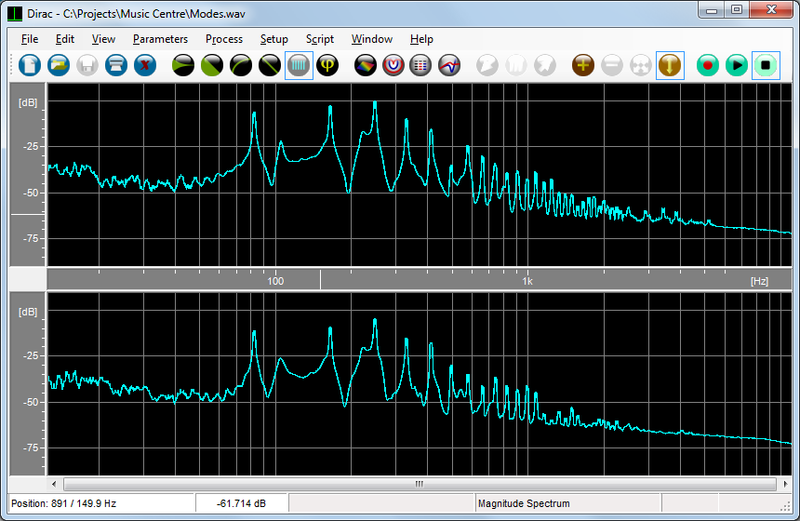 Another cause is that a filtered MLS signal has a higher peak to rms ratio than a filtered sweep signal. This allows the power amplifier to produce a higher rms level from a sweep than from an MLS signal. How does Dirac process recorded data during import? The imported file is processed as if it were measured at the actual settings. Therefore, the imported file MLS/Sweep/Capture length and Pre-Average value should match the corresponding values in the Measurement window. 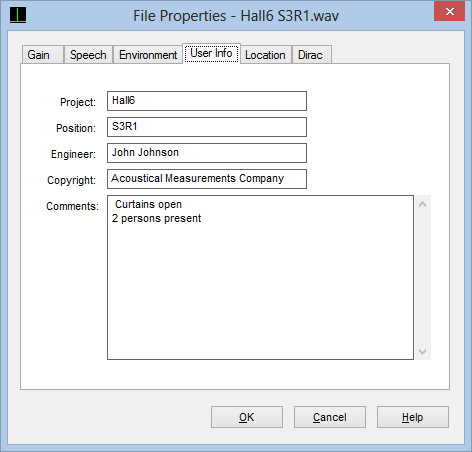 Also, the imported file sample rate should match the one in the sound device setup window. Which results can be exported to Excel? The original impulse response (or any other opened .wav file), by saving it in Dirac as a .txt file and opening it as such in Excel. Any parameter table in the Parameter window, including statistical data over several impulse responses, by saving the table in Dirac, and opening it as .txt file in Excel, or through copy & paste using the clipboard. 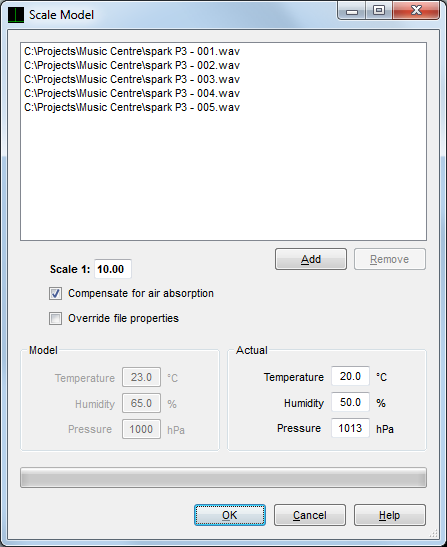 All (or selected) parameter values for all measurements in a project, using the 'Save Project Data' menu item of the Parameter window. Any single impulse response parameter table in the Parameter menu, by saving the table in Dirac and opening it as .txt file in Excel. Any of the impulse response views: Enery-Time Curve, the Decay Curve, the Magnitude Spectrum or the Phase Spectrum. How to interpret the noise level? With an External Impulse measurement, the graphically displayed signal and noise simply reflect the signal produced and the system noise present during the measurement. Therefore, the displayed energy ratio equals the real ratio. System noise includes acoustical and electrical noise. 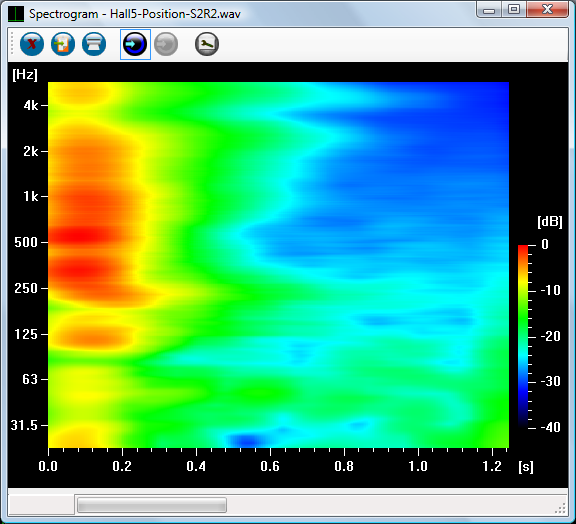 With a non-Pink+Blue filtered MLS or lin-Sweep measurement, under certain conditions the graphically displayed noise relates to the real noise as follows. The ratio of the total energy of the file and the total noise energy (with the same file length) equals the ratio of the received signal energy produced (plus system noise energy) and the system noise energy present during the measurement. The mentioned conditions are: Pre-Average = 1, time invariant system and no significant signal distortion. The displayed ratio is basically proportional to the Pre-Average value, but practical acoustical systems may vary slowly in time. In any other case, there is no one-to-one relation between the displayed and the real noise. Can the impulse response starting position be moved? You can move the total impulse response rotation-wise using the Rotate command in the Edit menu. This will in most cases not affect the calculated parameters. For some parameters such as the Strength (G) and related parameters, the source-receiver distance is essential, and rotate should not be used. The red line indicates the start of the impulse response, as used in parameter calculations and determined in conformance with ISO 3382. You can influence this starting point, hence the calculated parameters, by setting the 'Minimum Source-Receiver distance' in the Measurement window. Normally this option is used to skip response peaks caused by crosstalk between output and input lines. Is it possible to determine other energy ratios? It is possible to get any energy ratio, by setting the appropriate ER integration intervals in the Parameter Setup window. What are the differences between Dirac and competitors? The most important difference probably stems from the fact that Dirac is developed by users wanting a user-friendly tool. The best way to experience the differences, is by trying out demo versions. Does Dirac contain feature X? Dirac may not yet contain your favorite feature. Given enough interest, and provided the feature fits within the 'philosophy' of Dirac, we will implement it. Just send us a description of your favorite feature, and we will consider it for inclusion in one of the next versions of Dirac. Do you have localised versions available? No, currently Dirac is only available in an English-language version. How much does Dirac cost and how to order? Please contact your local Brüel & Kjær representative for purchasing information. Worldwide sales and marketing are handled exclusively by Brüel & Kjær. To order Dirac you must contact your local Brüel & Kjær representative. If you have technical questions regarding Dirac, you may contact us directly.